Have you ever heard of Murphy’s Law? 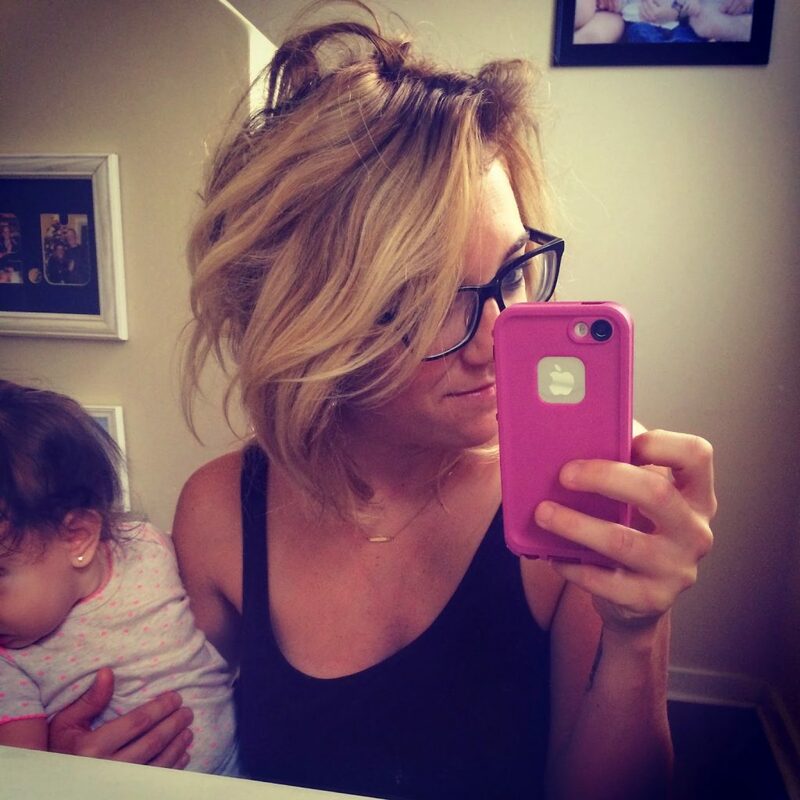 I think most military wives swear by it because it usually decides to show it’s ugly face right when the guys leave for training, deployments, etc. At first I didn’t believe it. I mean, old wives tale (literally), right? Well let’s take a look at my past week, shall we? First, Nolan locked me out of the house when I stepped outside for 10 seconds to take the trash to the curb. I had to coach him on how to unlock the deadbolt and the door and poor Miss P was crawling towards the door and crying. Of course, at that moment, I thought I left the stove on, the water running, and the candle burning. Then yesterday, I was carrying a billion groceries inside and dropped my keys in the house. And the door locked behind me. Luckily, the kids were still in the car (normally I take them out first and then unload), and I had left the car on because it was 95 degrees. So at least I had them and the air. We’ve all had either terrible allergies or terrible colds and last night, I was up most of the night coughing with the most annoying cough in the history of man. The one that is like a tickle in your throat, hacking cough that only comes out one cough at a time. The only thing worse than that is being in a room with the cougher. I also took my first shower since Sunday or Monday this morning. And boy was it glorious. Does that make me glamorous? Nope, not in the least bit. But it’s real life. Paislee has been refusing to go to sleep at night. And nap during the day but that’s nothing new. And her new thing? She’s standing! I tried to let her cry it out last night and it took over an hour. I went in there three times, tried nursing her and each time, she would cry the minute I put her back in. Maybe I need to grow thicker skin or try some other technique. Any advice? But on a good note, I convinced my mama to come down and stay with me next week so I will have a little relief/help. I just need to get this house organized, caught up on laundry and cleaning, and get the kids on schedules. I have no doubt in my mind things will be a lot easier once we have some sort of rhythm going but now, it’s survival mode. I’ve had ups and downs but I would take any of this over leaving my family for 9 months. I just really miss Zach and hate that he has to go. He doesn’t talk about it much because I know it upsets him and it’s one of those “goes without saying” kind of things. But I do my best to take a million pictures and videos throughout the day and I hope that reading my blog helps him feel like he’s back here too. 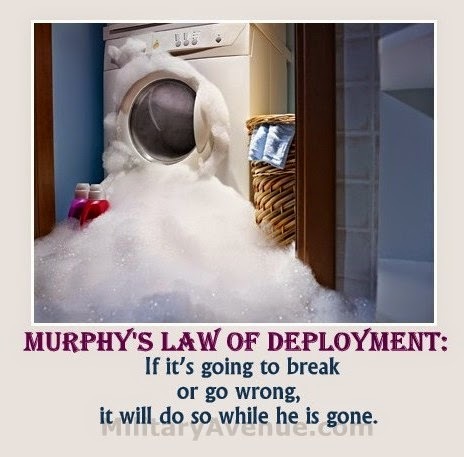 SO tell me friends, when have you experienced Murphy’s Law? What are some of the crazy things that have happened to you? « Sun after the storm.